This is the week of amazing learning, talented teaching, and mind-blowing information gathering. 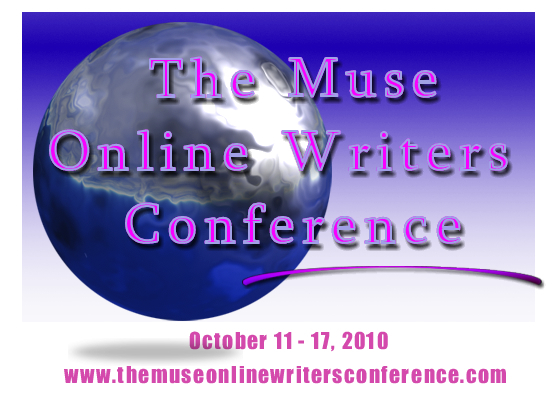 It is the Muse Online Writers Conference--a FREE, yep FREE, writers conference. A writer can attend any hour of the day, but best of all, there is no need to dress up or even get out of your jammies to get in on all the writing information. If you didn't get a chance to register for this year's conference, do sign up for next year's. There is something for everyone. Just don't forget to get your stash of chocolate to get you through this fantastic experience.